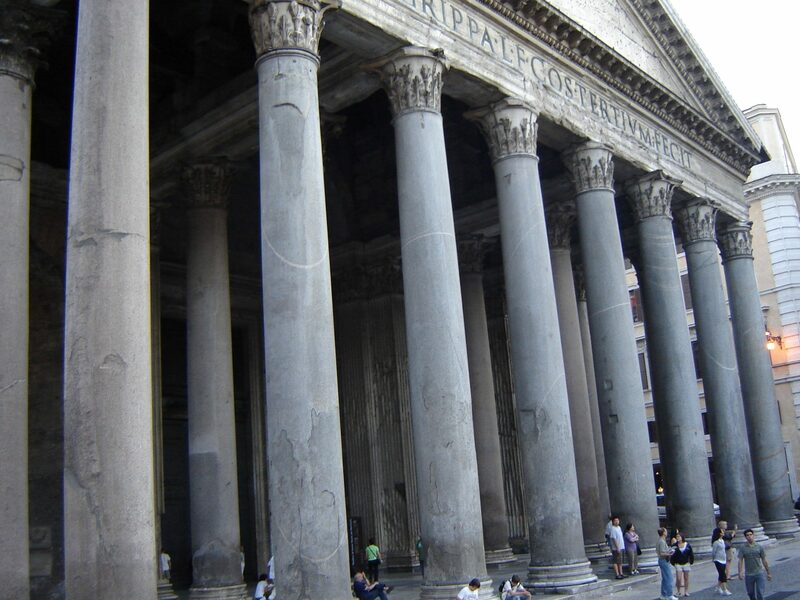 I’m going to talk a bit about why I decide to rank in Rome, but if you’d like to get right to the point and find out what our SEO services can do for your business, drop down to the bottom of this page and we’ll get right to it. Italy is a wonderful place. 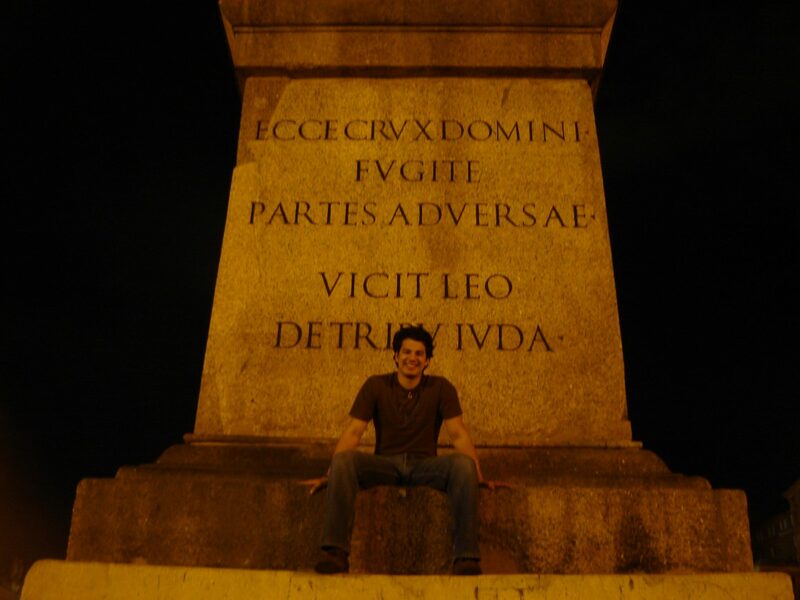 I took a tour that started in Rome, went to Florence, and then Venice. From Venice, we continued on into Switzerland, but those 3 places in Italy really made an impression on me. 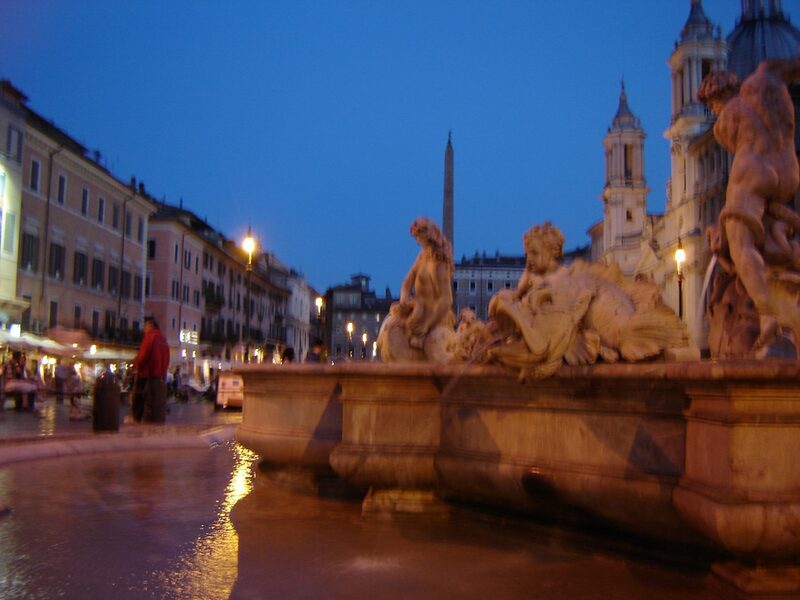 What I really like about Italy, and Europe in general, is that each place has history. It has culture, life, and meaning. For example, I live I the USA, and the oldest city in the entire country is St Augustine, FL which was founded in 1565. I’ve been there, and it is nice, but nothing compares to the almost surreal experience of Rome, founded in 753 BC! Everywhere you go, you see statues and architecture that are hundreds or even thousands of years old. Everywhere you look there is history and meaning. Of course, that history isn’t always pleasant, but it is what it is. The grand scale and artistic aura that permeates the city is otherworldly to someone who has spent most of their life in Florida. Rome was impressive. Art was everywhere because everything was art. The cobblestone streets are art. They lend a pleasant texture that lineate the city. I admit, it’s an unusual experience for me to be fascinated by the floor. The buildings are art. Besides the great coliseum and the Vatican, even the other building are beautiful. Their designs are intricate and appear to be made to stand forever. Some of them have been standing for hundreds/thousands of years already. From a purely secular perspective, the Vatican was quite beautiful. My favorite would have to be the ceiling and wall of the Sistine Chapel, famously painted by Michelangelo. The bridges are art. They even have art on them. The bridges have beautiful statues mounted along the sides. The food is art. 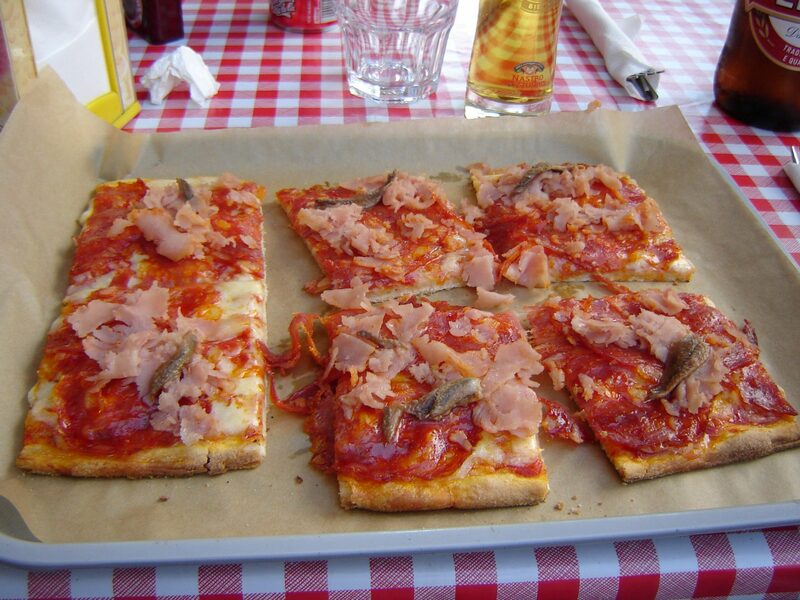 Traditional gelato in an outdoor café… Roman pizza with a glass of Italian wine… What more could you ask for? While I didn’t spend much time in Florence, the most memorable place for me is the Statue of David. The statue was considerably larger than I thought, and that just made it all the more epic. The beauty of the marble showing the male form was breathtaking. See below to learn more about my Florence SEO services. Ah, Venice… Seriously, that’s how I feel about Venice. This place is so otherworldly. Its beauty is almost surreal. It has the grandness of Rome, but has its own uniqueness in its structure. Because it’s on the water and separated by canals it has few cars, which is nice. Also, because there are so few cars, people spend their money on their clothes. The locals are very well dressed and that just lends to the surreal nature of Venice. Well dressed, fit (from walking so much) people, epic buildings… I can’t wait to go back. 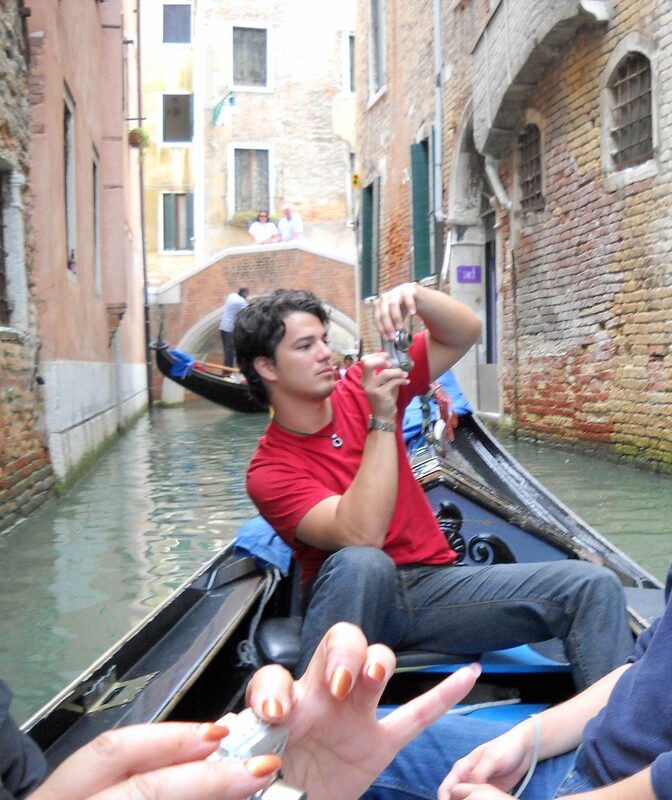 See below to find out about my Venice SEO services. Ok, so why am I talking about everything I like about Italy? Well, one of the great things about the “newness” I’m so used to… is that own a company that can be run from anywhere called Helmut Hampton Digital Marketing. As long as I have an internet connection, I can do what I do. According to Google, my company is the #1 SEO agency in Citrus Park, Westhcase, and Keystone, Florida. (Those are all cities where I currently have my home base). But, I’m not limited geographically. 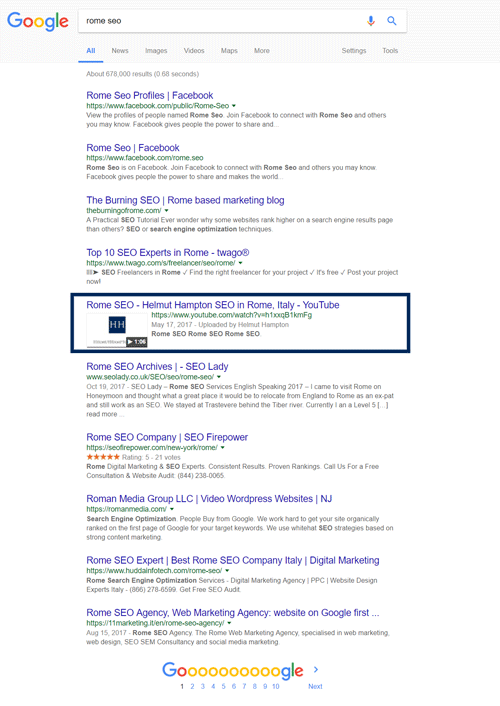 I rank a video on page 1 of Google for Rome SEO explaining my digital marketing services. Italy SEO is the same as SEO in any country. Google.it isn’t that much different from Google.com. I get businesses found in Google, anywhere in the world. The country doesn’t matter because it’s all Google and the algorithm is the same. When people are visiting Italy, how do they decide what to do, what to eat, where to go? They Google it. People rely more and more on Google for everything, so if you’re not being found there, then you’re giving away money to a competitor who is. So, if you are a business owner in Italy that wants to be found in Google, check out my home page. There you’ll see our rankings and testimonials. We are the number one SEO agency in Westchase, FL, Citrus Park, FL, and Keystone, FL in the US. Our search engine optimization services help businesses add thousands of dollars of revenue every single month once they are ranked. Our live rankings are proof of my company’s ability to get businesses found in Google. Our client testimonials demonstrate that we actually do what we promise.